Across the globe; societies, establishments, groups, and people were making an unwavering #PressforProgress as they championed international women’s day and took phenomenal actions geared towards being gender inclusive and this also included celebrating the diverse achievements of women over the years and across all ages. 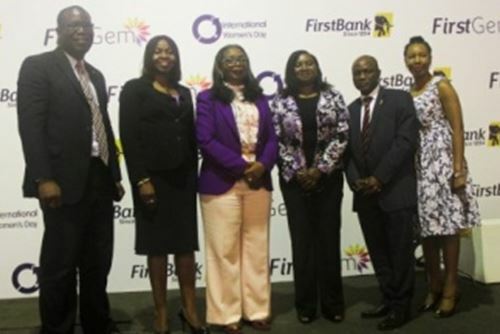 FirstBank has undoubtedly been an unparalleled advocate of gender inclusion through its gender equity policies and its recently launched account; FirstGem, which aims to empower women to achieve all their business goals. 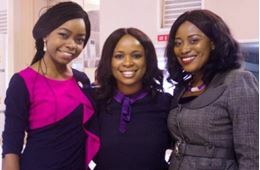 To commemorate the International Women’s Day celebration, FirstBank took the time to celebrate & appreciate the input of its female workforce by hosting 125 members of staff across the country to a spectacular event held in Lagos. The choice for the number of people in attendance was strategic as the bank prepares to celebrate its quasquicentennial (125th) anniversary in 2019. After guests were treated to a sumptuous breakfast, the event kicked off with an official opening remark and launch of the FirstBank Women’s Network conducted by the Managing Director, Dr. Adesola Adeduntan. One could not but be mesmerised by Ms. Cecelia Akintomide, Board member FBN Holdings, as she delivered the keynote address with grace and this was followed by a Q &A session held by the Chairman, Mrs. Ibukun Awosika. There were other activities that were crucial in making sure the universal theme of the day #PressforProgress was not lost in sight. These included master classes and speed coaching sessions. 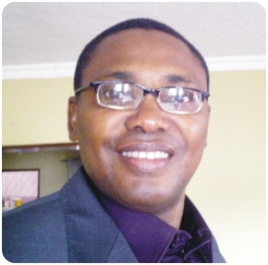 The former was aimed at driving conversations around financial independence and professional etiquette while the latter was centred around Welfare, Empowerment, Ethics and Financial management. In all, the event was a huge success that ended with the declaration of pledges by the guests. We do hope that we would all push for equality until every woman has found her voice. Just as the women pledged, what’s your pledge?